Track Information: 0.375 mile semi-banked (9 degrees) asphalt oval in Oxford Plains, ME. Oxford Plains Speedway was originally built in 1950 as a half-mile oval. In the sixties, this rundown half-mile was on the verge of extinction. Bob Bahre purchased it and converted it to its present configuration, a semi banked third mile. Midgets, modifieds and supers have all been hosted but it has primarily been a full-fendered track. In the seventies, Bob began a series of "Oxford Opens". They attracted serious late model competitors from throughout the Northeast. This was capped off with the "Oxford 250". The Oxford 250 has gone through a number of changes over the years. It began as a race for the region's late models. 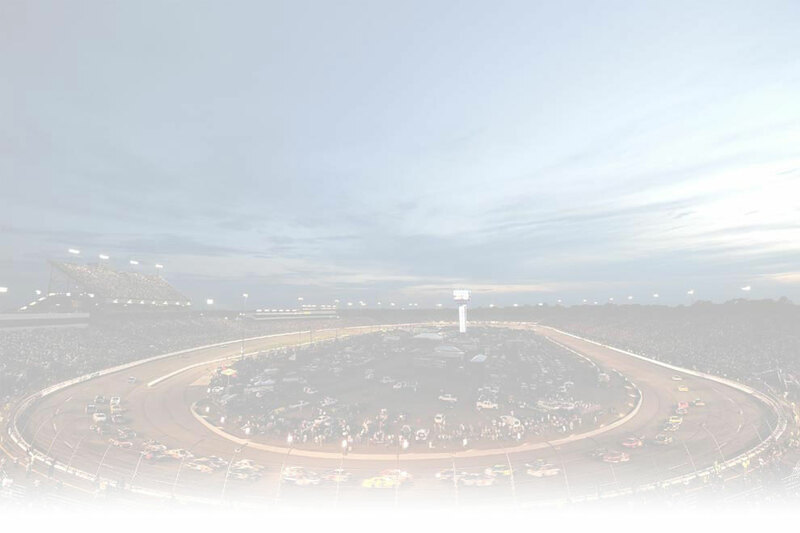 Along the way it would be a showplace for NASCAR North, a Busch North race, a combination Busch North/South race and back to a semi open race in which the American Canadian Tour (ACT) faced off against the locals and the Busch series. Today it's named the "TD Bank 250" and is a top event on the Pro Stock calendar. Among the top touring series who have made stops at the speedway over the years are the NASCAR Nationwide Series, American Canadian Tour (ACT), Pro AllStar Series (PASS), NASCAR Whelen Modified Tour (WMT), Valenti Modified Racing series (VMRS) and the International Super Modified Association (ISMA). The speedway also features Late Models, Strickly Stocks, Mini-Stocks and a host of other support classes in their weekly shows. With 14,000 seats, the speedway has the largest seating capacity of any sporting venue in Maine. 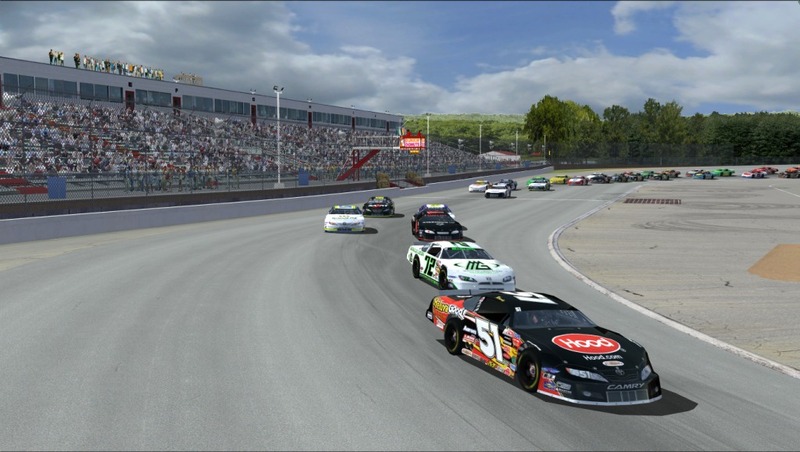 This NR2003 updated version of Oxford Plains Speedway was based off of the original version made for NR2003 by Justin Devane and is an attempt to closely resemble the track as it currently appears today. It is not, however, an exact replica nor do the limits of NR2003 allow it to be. 1. Matt Gilson: Project manager, graphic update concept, graphic detailing and immersion, object editing, textures, cameras, quality assurance, testing and general assistance. 2. J.R. Franklin: Graphic detailing and immersion, object editing (grandstands, 3d crowd objects), textures, start grids, Lps, AI (Artificial Intelligence, i.e. the computer controlled cars), surface grip levels, quality assurance and testing. 3. Smiffsden.com: custom 3do object modeling (infield object, S/F line stairs, people), horizons, quality assurance, testing and overall general assistance/consulting. 4. Wayne "Bowtie" Anderson: custom 3do object modeling (Rollback object, track lights, 3d crowds, etc.) and general assistance/consulting. 5. Robo19: Custom 3do track object work (haulers, snack bars, race car objects, etc.). 6. Justin Devane (Justin9): Original track and base track layout done with Butter's Principle. 9. NR2k3tracks.com for their help and support. 11. Reference sources: a. www.OxfordPlains.com b. FaceBook.com Oxford Plains Speedway c. www.The VintageRacer.com. 12. To anyone else whom we may have unintentionally neglected to mention but contributed in the creation of objects that may have been borrowed from other NR2003 tracks for this project, we sincerely apologize. Although you were not mentioned individually, your contributions to NR2003 and this track are greatly appreciated. 1. This track features multiple grips allowing 2 distinct racing groves just like the real Oxford Plains Speedway. The AI will occasionally go 3-wide to provide an exceptional and thrilling offline racing experience. However, passing on this track is pretty difficult. An AI car beside you (either on your outside or inside) will put up a great fight for several laps and will not relinquish the spot easily...if at all. 2. We have intentionally set the pace speed very slow at 30 mph. The pit road speed is set pretty high at 45 mph. This was done to allow cars to make pit stops without losing a lap. Testing has found that you can possibly make a 2 tire change and still remain on the lead lap. Any additional pit work will likely result in going a lap down to the leader. 3. AI cars will sometimes exhibit odd behavior that is unfortunately inherent in short track ovals less than .455 mi. built under Butter's Rule. AI cars will sometimes struggle to get lined back up after a caution is thrown, but eventually will get lined up in time for the restart. All-in-all however, our tests have shown that the AI, for the most part, performs very well in this track during offline races. 4. The pace car will gently scrape the infield pit wall in it's way to it's parking stall. 5. AI cars are observed being "pulled" into their pit stalls. 6. A slow draw-in of trees is observed in the rear view mirror. 7. AI cars will sometimes stack up and wreck upon entering the pits at the conclusion of races. 8. Attempts have been made to remedy all of the issues/problems detailed above, however, all were ultimately unsuccessful. 9. This track was not tested with CUP or PTA physics. 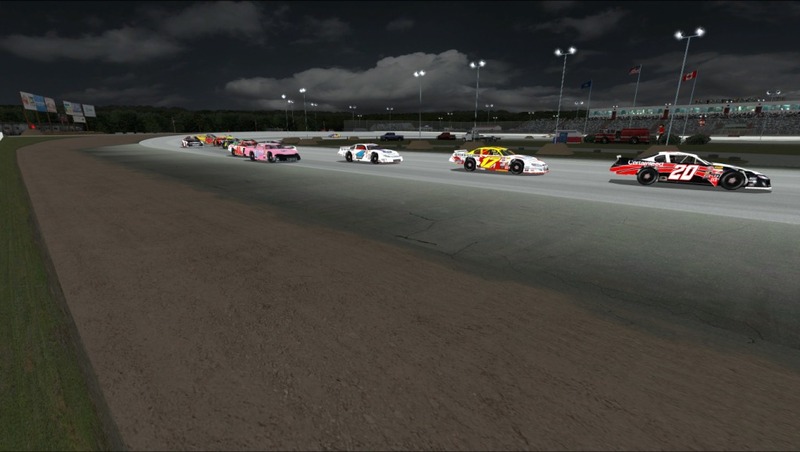 All testing and track.ini settings are for the GNS and CTS physics only, which the authors of the track feel are best suited to racing at Oxford Plains Speedway. The CUP physics will work, but the AI has not been tested or balanced for CUP. 10. The AI for this track were constructed using a default papy_ai.ini, the default fast setups for each physics (CUP, GNS and CTS) and the opponent strength set at 97%. Ratings for the car sets used in testing and in developing the AI for this track are from the NRatings program using the MasGrafx Full Season V3.1 formulas. We went to great efforts to make the AI and racing as realistic as possible. At the same time, we also took some liberties with the AI tools available in the track.ini to enhance the "fun" factor. We're confident that you'll enjoy the offline racing experience against the AI the way we have set them up for you. 11. We also made an effort to get the AI to have an occasional random wreck that would bring out some cautions to further enhance the realism. In trying to achieve this, we had to "push the envelope" a bit with the settings in the track.ini. This required getting the AI to race a little tighter, change lanes and be a little more aggressive. As a result, the end user may experience an early wreck or 2 between the AI at the beginning of a race. This is because at the start of a race, the pack is at its largest and tightest. Testing revealed that once a couple of early wrecks occurred, then the AI seemed to settle down and spread out. However, once another random wreck occurred, the restart would re-tighten the pack and as the saying goes....."Cautions can breed more cautions". Kind of like real life racing! 12. To enjoy the best results, we recommend that you use the default fast setups provided with the track and car sets containing ratings as described above. Your results, however, may vary depending on the type of mod used, the ratings of your specific car set, different setups used, driving style, skill level and countless other variables that make it practically impossible to predict the results that you will achieve while racing on this track. 13. No other bugs have been reported or observed during beta testing. We sincerely hope that you will enjoy the racing at this track as much as we have bringing it to you.